The Eastwood Ranch Foundation First Annual Garden Party was everything you’d expect from an Eastwood…country, classy, elegant and simplistic. The annual garden party sat atop a hill overlooking Malibu Wines on one side and canyons, rock formations and the ocean, far off in the distance, on the other side. You would think going to an event with the name “Eastwood” attached to it would fill your insides with nerves and intimidation, and it definitely did! However, the moment I got to the party there was calmness in the air and I was instantly put at ease. I attribute this to the kind and laid-back nature of Alison and her crew. 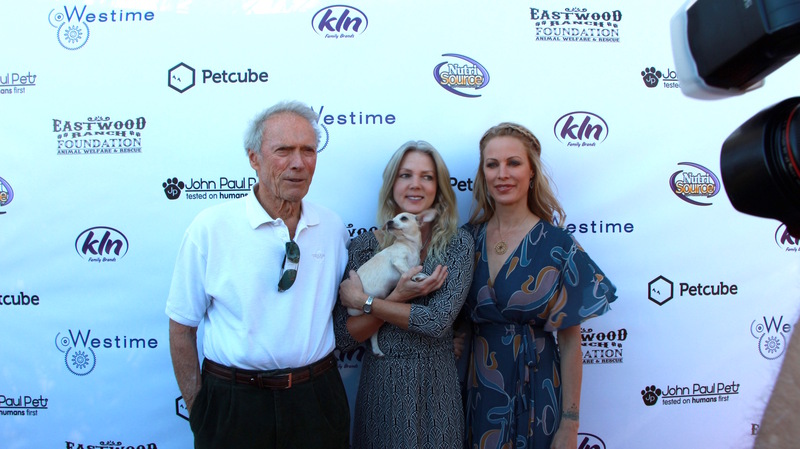 Alison Eastwood was breathtakingly beautiful and calm greeting every last guest as they walked into the party. Despite this being her foundation’s first garden party, Alison maintained composure like her famous father Clint does in all of his movies. Her husband, Stacy Poitras, was the best sidekick and was a true rock star when it came to helping Alison out with guests, the red carpet and making everyone feel comfortable. As I mentioned earlier, Clint was the showstopper of the afternoon, but he zoomed past the press line and didn’t do interviews, but Press Pass LA was able to snap some pics, so enjoy!